Junior guard Cierra Dillard looks for an option as defender post-up to her. Dillard was the lead scorer in the Bull's first NCAA Tournament win on March 17 against the South Florida Bulls. No.11 Buffalo beat the no.6 South Florida Bulls 102-79 Saturday afternoon in the first round of the NCAA Tournament in Tallahassee, Florida. This was the program’s second appearance in the tournament, entering off its first at-large bid. This comes after the men’s basketball team won the program’s first NCAA Tournament game Thursday. Neither team had won an NCAA Tournament game heading in. Junior guard Cierra Dillard went off shooting with a season-high 36 points and six rebounds going an accurate 11-for-18 from the court. Senior guard Stephanie Reid led the team passing with 18 points and 8 assists. Junior forward Courtney Wilkins came off the bench and did wonders from three range going 5-for-8 from deep and had a season-high of 23 points. Buffalo started slow with 11 points in the first quarter, but came alive scoring 28 points or more in the final three quarters. South Florida did solid work on offense with two players scoring 20 or more points, but they never found the answer to slow the Bulls down. South Florida led the night in fouls, which Buffalo made the most of in free throws shooting 22-for-24. Buffalo will play next on March 19 against the no.3 Florida State Seminoles in Tallahassee for the second round of the NCAA Tournament. Tip-off is to be announced with the game airing on ESPN2. 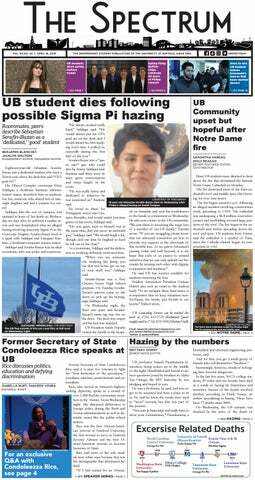 Sports desk can be reached at: sports@ubspectrum.com.